Jo Goodfellow developed a fascination for the marine environment at a young age, despite growing up as far away from the ocean as is possible in the UK. Chasing her childhood dream to “work with animals”, Jo enrolled in an undergraduate degree in Zoology at the University of Exeter. During her student days, she had the opportunity to volunteer with the Marine Turtle Conservation Project in North Cyprus. Here, she helped monitor the local nesting population of green and loggerhead turtles. Jo’s passion for sea turtle conservation was sparked! After completing her master’s degree in Marine Mammal Science at the University of St Andrews, Jo soon found herself working with turtles in Maldives. On a local island in Lhaviyani Atoll, she assisted in the running of a marine turtle rescue and rehabilitation centre. Jo also helped educate the local community on marine conservation issues. In Maldives, Jo was introduced to the work of Olive Ridley Project. She was actively involved in the removal of ghost nets in Lhaviyani Atoll. Jo joined Olive Ridley Project in October 2018. 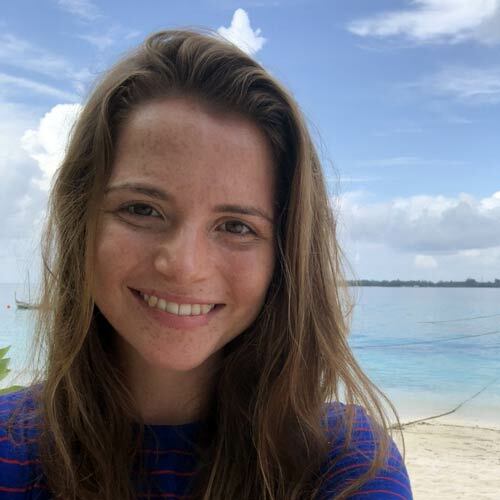 As a Sea Turtle Biologist based at Six Senses Laamu, she is responsible for monitoring the local sea turtle population. In addition, she is engaging both guests and local communities in the work of ORP.